A relatively new event, first staged in 2003, the Deutsche Bank Championship is now the second of the four FedEx Cup Playoff Series events and it's limited to just the top-100 in the standings. Sergio Garcia, who slipped from 31st to 43rd in the standings when he failed to make the line-up last week, is again AWOL for no apparent reason but Louis Oosthuizen, who withdrew before the off at The Barclays when his back flared up yet again, is still in so 99 of the 100 should tee it up on Friday. Gil Hanse, with help from Brad Faxon, made changes to the track in 2007, reducing the length of the course by around 200 yards. The biggest change came at the 4th hole which is now a drivable par 4 and further changes were made prior to the 2012 renewal in an attempt to toughen-up the 18th. The green was raised by a couple of feet and it was halved in size but it didn't make an awful lot of difference, it's still a very good chance to end your round with at least a birdie and only the 4th played easier last year. The bent grass greens are always highly praised and they usually run at around 11.5 on the stimpmeter. Live on Sky Sports all four days, starting on Friday. What Will it Take to Win The Deutsche Bank Championship? The last ten winners have had an average Driving Distance ranking of 25.6 and an average Driving Accuracy ranking of 25.8 and the average Greens In Regulation ranking for the ten was 17.6. Mickelson won the event in 2007 ranking fourth for both DD and DA but when Webb Simpson took the title in 2011; he ranked 40th and 44th for the two driving stats. Henrik Stenson ranked number one for greens hit when he won two years, as did Vijay Singh in 2004, and Stenson and defending champion, Chris Kirk, had a Putting Average ranking of 15th but the previous eight winners were all ranked inside the top-seven for Putting. In addition to having to putt really well here to win, you have to scramble brilliantly too. The last four winners have ranked third, second, sixth and fourth for Scrambling and 22nd (Charley Hoffman in 2010) is the worst any winner has ranked for that stat. Although he'd won the McGladrey Classic earlier in the season, finished fourth at the Memorial Tournament in June, and inside the top-20 at the Open Championship six weeks previously, last year's winner went against the grain as he was seemingly out of form before winning here. The 2013 winner, Henrik Stenson, hadn't won prior to victory here and he'd finished down the field at The Barclays the week before (as did Kirk) but he'd been in red-hot form before that. He'd finished second at the Open Championship and the WGC - Bridgestone Invitational and third in the USPGA Championship and four of the five winners before him had won an event in the weeks leading up to this event. Rory McIlroy had won the USPGA Championship, Webb Simpson the Wyndham Championship, Steve Stricker the John Deere Classic (and he'd been second the week before at The Barclays) and in 2008, Vijay Singh was making it back-to-back wins, having won The Barclays. When Mickelson won here in 2007, he'd finished seventh at The Barclays the previous week and 2006 winner, Tiger Woods, was winning his fifth event in-a-row! Singh had won both the Buick Open and the USPGA Championship in the month before he won here in 2004 and in the 12 renewals to date, only Kirk 12 months ago, the inaugural winner, Adam Scott, and shock winners, Olin Browne in 2005 and Hoffman in 2010, can't be described as being at the top of their game. Stricker once said of this venue, "It's a fun course ... I think it's a good test. It's one of those if you're playing well, you can shoot a good number." And that sums it up perfectly. It's somewhere where low numbers are the norm (the course record is 61 shot by two men, Vijay Singh and Mike Weir) and you need to be at your best so Kirk suddenly finding form from nowhere last year was a surprise and concentrating on in-form players might make sense. Kirk was matched at [250.0] before the off last year and very few would have fancied Olin Browne in 2005 or Hoffman in 2010. And in 2011, huge outsider, Chez Reavie, was matched at just [1.02] in running, so long-shots have fared reasonably well but one of the fancied runners has won nine of the 12 renewals to date so concentrating on the in-form market leaders looks the way to go. In addition to Kirk's win being against the grain in respect of pre-event price and form, it was also unusual in respect of his in-running position, given how far back he was after round one. Prior to last year's renewal, Mickelson was the only winner to go on to win having failed to shoot an opening round in the 60s. He shot 70 and trailed by seven after round one - Kirk shot 73 and was 10 behind! Unsurprisingly, Kirk was matched at [1000.0] in-running. Kirk may have come from far further back than any previous winner but one trend did continue last year - the terrible record of third round leaders at TPC Boston. Russell Henley became the eighth solo 54-hole leader to get beat in-a-row! Browne and Stricker were both tied at the top before they won in 2005 and 2009 respectively but it's now 11 years since the last clear third round leader went on to win. After three wins in four starts, Jason Day heads to Boston as the number one ranked player in the FedEx Cup Standings. A win here could even elevate him to number one in the world rankings and despite winning the first two majors of the year, Day's form over the last two months has even put the formality of Jordan Spieth becoming player of the year in doubt. In addition to his incredible current form, he ranks fourth for Scrambling and second for Putting Average and he has plenty of course form in the book too. He led everywhere bar the winning line when runner-up to Hoffman in 2010, finished third 12 months later and he was leading at halfway last year before slipping down to seventh. This is the ninth FedEx Cup Playoff Series and in five of the previous eight someone won two of the four events and as already mentioned, Singh doubled-up here after winning The Barclays in 2008, so Day wouldn't be setting a precedent should he make it four wins in five starts. It's impossible to find a hole in his armour and I couldn't put anyone off him. Even though he sat out last week's Barclays, Rory McIlroy returned to the top of the world rankings thanks to Jordan Spieth's missed cut and he just shade's his big rival in the market here too. Of the Big Three, he's the one I least fancy given how often the winner he has been in red-hot current form and that he's had just one start since injuring his ankle playing football back in July. His 17th placed finish at Whistling Straits in the USPGA Championship was a respectable effort given his preparation and he won this event in 2012 but I'm more than happy to leave him out. Spieth's missed cut last week was a huge surprise and I'll be amazed if it's repeated here. He ranks number one for Putting Average and fifth for Scrambling so like Day, he's a perfect fit statistically. He's only played here twice, finishing fourth on debut in 2013, when he finished the event with a nine-under-par 62, and 29th last year so he does have some course form but it's certainly not as strong as Day or McIlroy's. I'd have him in front of Rory in the market but after last week's performance, he's probably one to watch on Friday. This is an event to savour if the front three all turn up with their A games in order. Day looks a fair enough price given his form and if Spieth gets back on track he's a huge price but I'm happy to leave them out before the off. Having all three fighting out the finish would be magnificent but it never seems to work out like that and the value lies elsewhere. 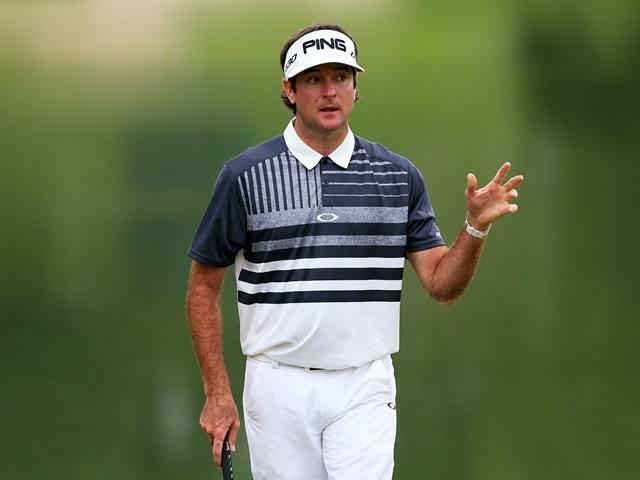 I'd have happily taken the [23.0] about Henrik Stenson but having missed that price I'm not prepared to take [17.0] so I'll begin the event with just one selection - Bubba Watson. At first glance, Bubba's form at TPC Boston looks uninspiring with his 12th placed finish on debut back in 2006 his best effort form nine starts but he was leading through rounds two and three in 2011 before tumbling down to 16th with a disastrous final round of 74 so he can play the course and he's in cracking form. He appeared to get frustrated by the greens at Plainfield last week so I wasn't entirely surprised to see him slip from first to third over the weekend but that was still yet another great performance on the back of three fine efforts in his previous six starts. Since beating Paul Casey in a playoff at the Travelers at the end of June, Bubba was never competitive when finishing 13th at the Greenbrier Classic and it was no surprise to see him miss the cut at St Andrews but after that he recorded back-to-back seconds in the Canadian Open and the WGC-Bridgestone Invitational. He could only finish 21st at Whistling Straits but given he'd lost a playoff there five years previous to Martin Kaymer, that didn't surprise me either. It couldn't have been easy having all those memories of disappointment flooding back and now that he's bounced back at The Barclays, I'm more than happy to take a small chance on him here at [26.0]. To read my Deutsche Bank Championship 2016 Betting Preview please click on the link. I'll be back soon with my Russian Open preview.